How can I activate a license for a driver? Why don’t I see all jobs? How can I filter them? 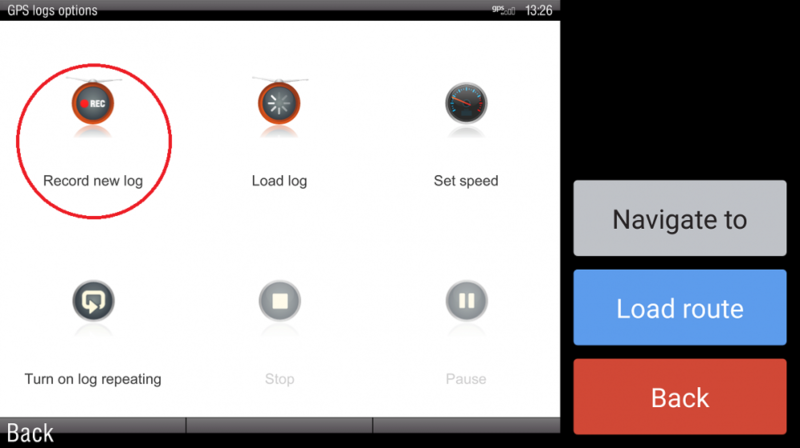 How do I install the mobile application? Can I store the application resources on an SD card? 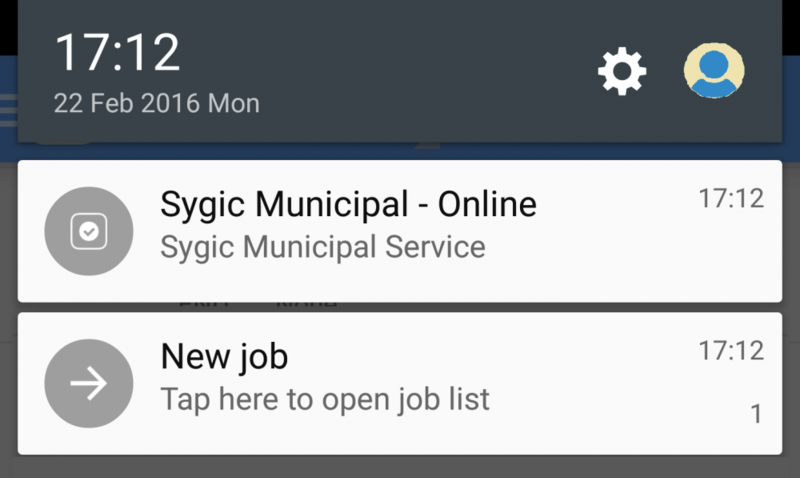 How should I work with Sygic Municipal? How do I record a route? How can I simulate the route? Can I copy routes to my device manually? How do I get appropriate routing for my vehicle? 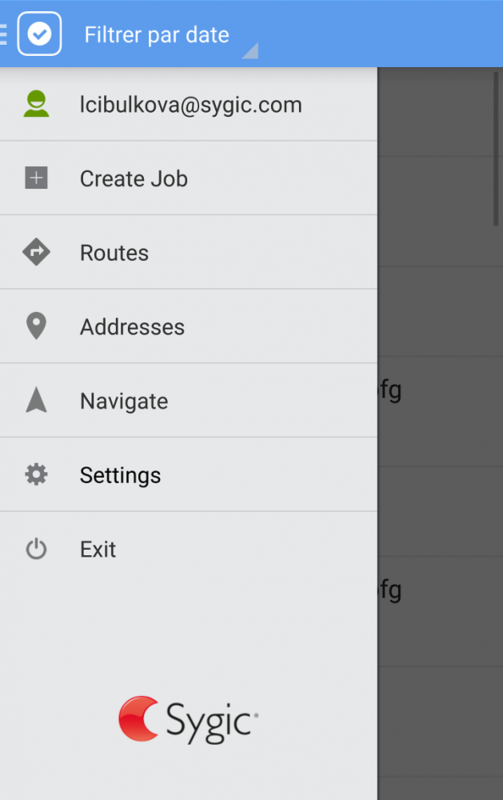 How can I switch between job and navigation? Can I join the route further? 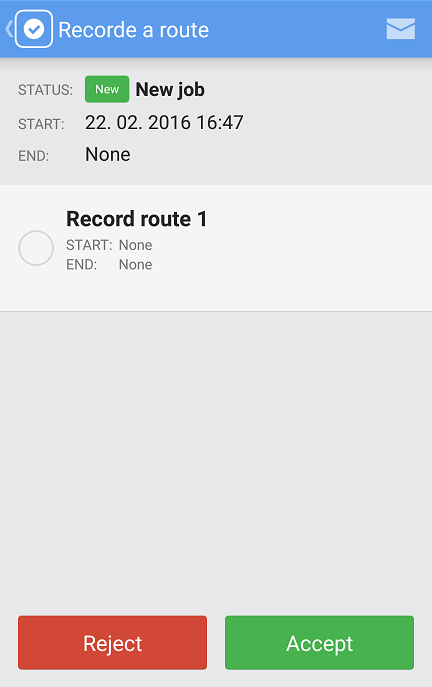 There are two ways on how to record a route. Your dispatcher created a job for you to record a route. After you login to the client, you see the list of your jobs, the new ones will be marked with New flag. If you were online and logged in when you were assigned a job, it also appears in your notifications bar. Tap on the job to display details, then tap Accept. 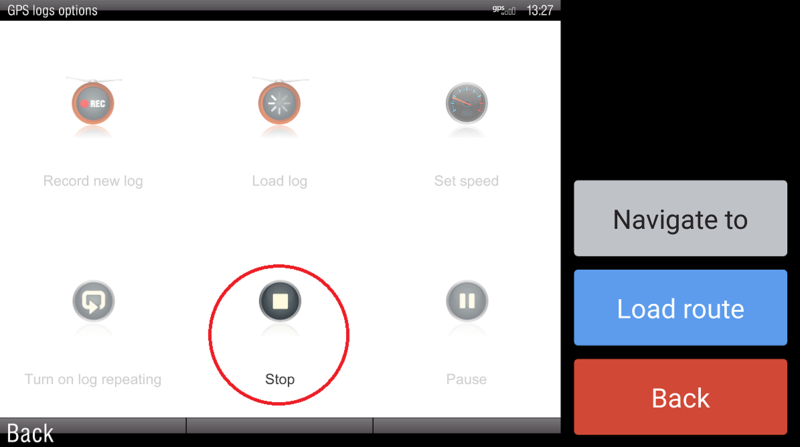 The first task of the job will be displayed, tap Start to start recording. Drive along the route as the drivers should. When finished recording, tap Done. 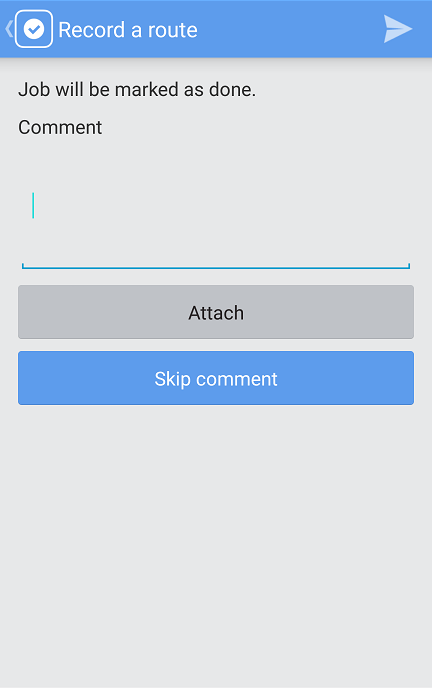 If you wish to leave any comments, type them and then tap Attach, or just tap Skip comment. 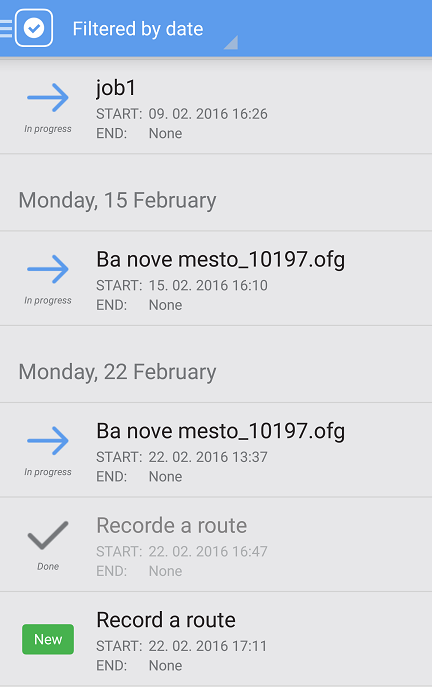 The recorded route will be send to a dispatcher automatically. If a dispatcher entered an adress where to start recording, you will be offered to open a navigtion to that address. Tap OK, if you wish to open the navigation. 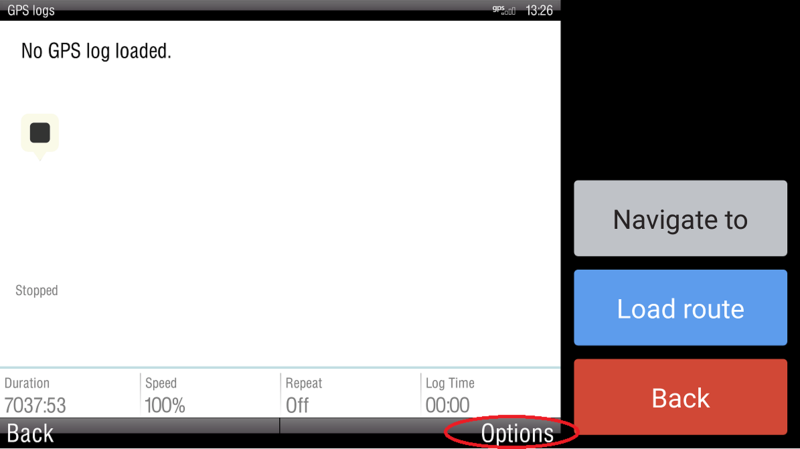 The GPS log is recorded in NMEA format. 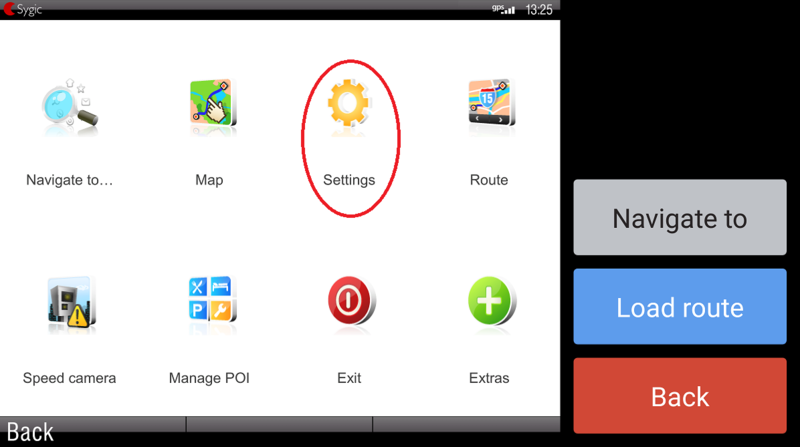 It can be used to simulate driving the route on the client or a planned route can be generated out of it by dispatcher. 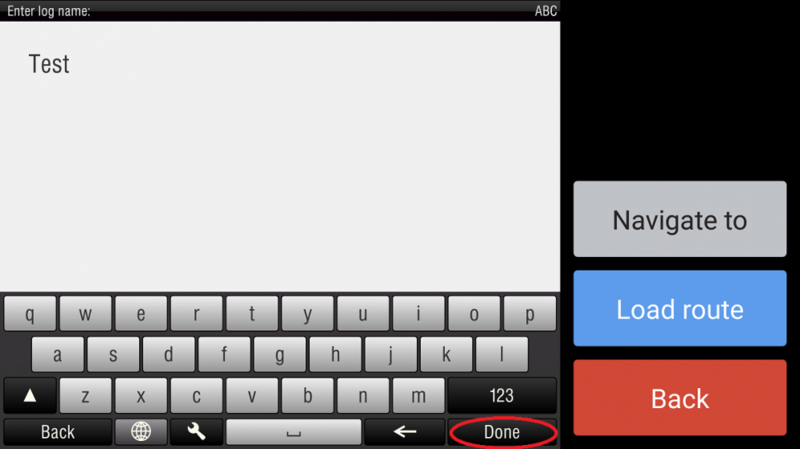 Tap menu icon in top left corner, select Navigate from the menu. 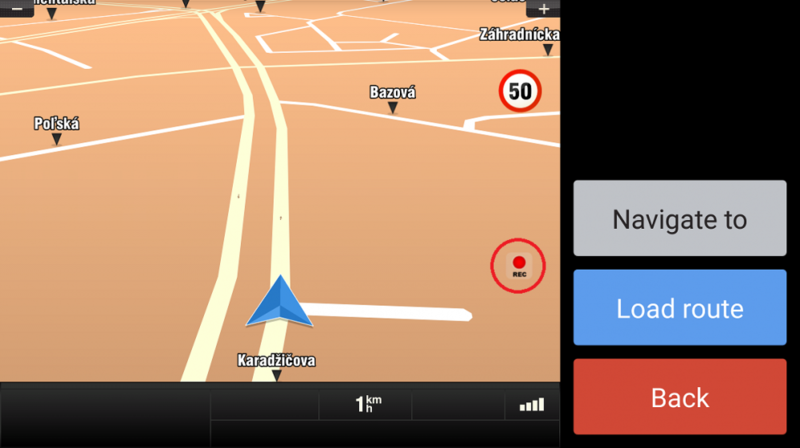 The navigation app will open. 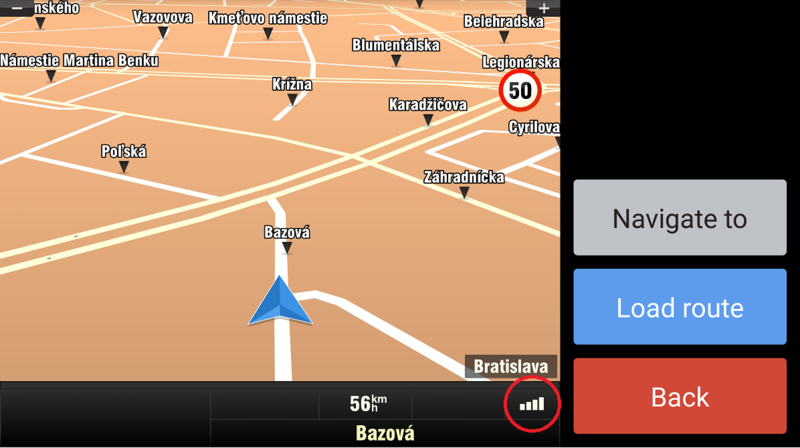 Before starting the capture of GPS logs, please make sure that the application receives the GPS signal. This can be verified on the navigation screen. Please note that the number of plain bars shows the quality of GPS signal reception. The recording starts at the moment you tap Done. 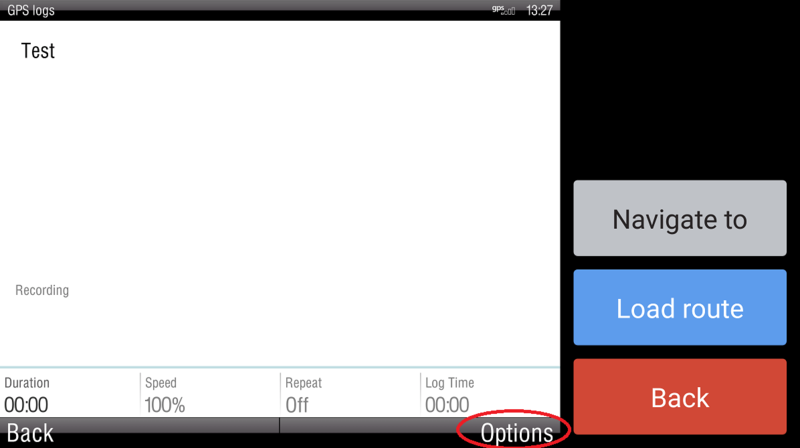 Use Back button multiple times to return to the navigation screen. When recording, there is a REC icon in the map. 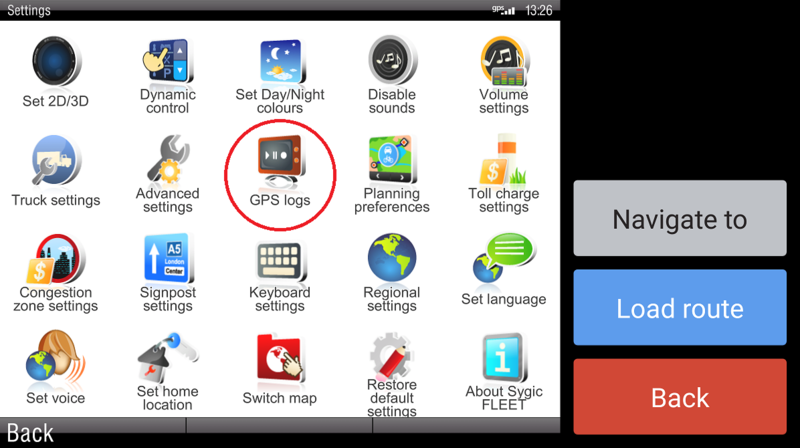 Captured GPS log is stored in \SygicMunicipal\Res\gpslogs\ as an nmea file (e.g. Test.nmea).